Map and graphics from Project Connect’s Feb. 2018 proposal illustrates possible 12-mile initial light rail line from Tech Ridge (at left end of map) routed south down N. Lamar-Guadalupe corridor to Republic Square in CBD (map is rotated 90°, with north to left and south at right). Other graphics show alignment design options and station attributes. Yet Capital Metro leadership has now withdrawn plan and restarted study process for another two years. Graphics: Project Connect. This post is a publication of comments made by Lyndon Henry to the Austin City Council on 13 December 2018. Henry is a technical consultant to the Light Rail Now Project and a contributing editor to the Austin Rail Now website. For decades, Austinites have been suffering the agonies of a worsening mobility crisis. 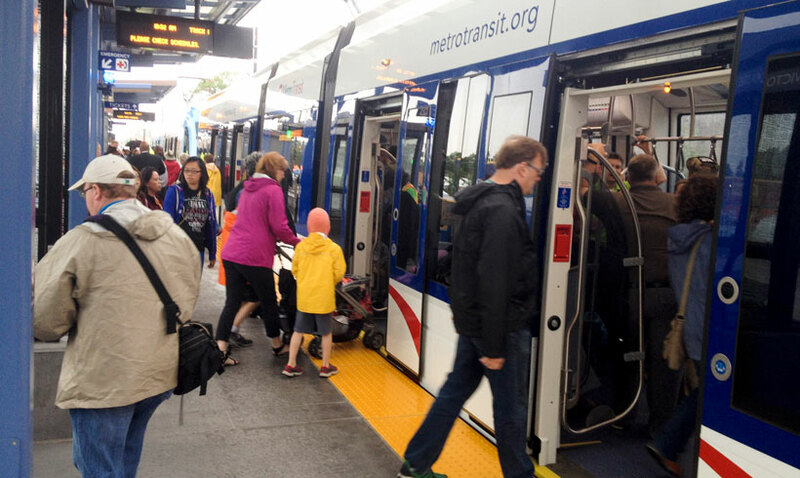 Help has never been far away – over the past 30 years, no less than six official studies have come to the same conclusion: light rail transit, interconnected with an extensive bus network, is what’s needed. But time after time, Austin’s leadership has failed to bring a single one of these plans to successful fruition. Austin has become the national poster child of analysis paralysis. And now Capital Metro and its Project Connect planning program have restarted us on another re-iteration of this same exhausting process for a seventh time and another two years. Transit advocates appreciate that Capital Metro has revised its Vision concept by restoring light rail and some additional corridors. But much more is needed. Instead of backsliding to zero again, Capital Metro and the City of Austin need to fast-track this process by building on the data, analysis, community input, and other resources that have already recommended a light rail system and enhanced bus network as the way out of our mobility quagmire. The Vision plan needs to become a lot more visionary. It needs to preserve a lot more corridors for future dedicated transit lanes. It needs to envision more and longer routes reaching out to serve other parts of the urban area. Light rail can make this possible. It’s an affordable, cost-effective, off-the-shelf electric transport mode that’s well-proven in hundreds of cities and, best of all, it’s here today – we don’t have to wait for some science fiction technology. Austin needs a solution that’s available now. Urban light rail is the crucial linchpin of a mobility plan because it has the power to make the whole system work effectively. It’s shown it has the true capacity to cost-effectively handle and grow Austin’s heaviest trunk routes, freeing up buses and resources to expand service into many more neighborhoods citywide. This advantage is validated by solid evidence – in average ridership and cost-effectiveness, cities with urban rail have significantly outpaced cities offering bus service only. Yet even before Study No. 7 has begun, some Capital Metro and other local officials have been hinting they favor bus rapid transit (BRT) – basically a repackaging of bus service with minimalist capital improvements and lots of fanfare. 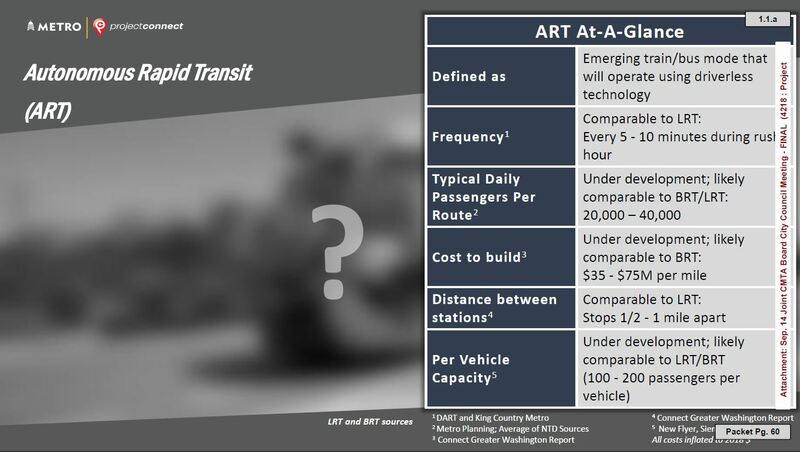 But it’s unlikely BRT will provide the breakthrough Austin so desperately needs. On average, compared to BRT, new light rail systems are carrying over three times the ridership at 10% lower operating cost. They’ve shown they can spark adjacent economic development and help shape urban density and growth patterns. BRT has shown almost no such benefits. And light rail comes without the toxic pollution and other problems of rubber tires. Let’s leave the paralysis behind, and put a light rail starter line on a fast track for a vote in 2020. 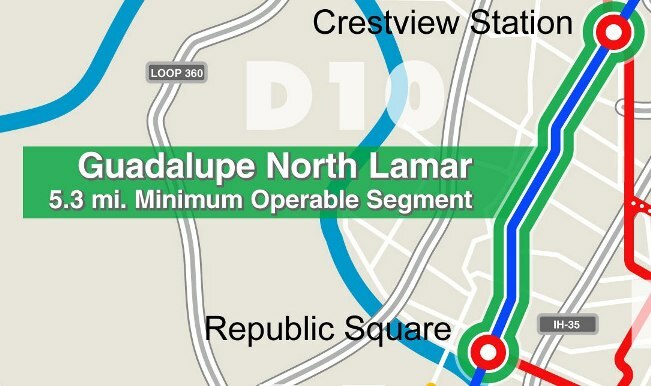 An even more affordable light rail starter line project has been proposed by Central Austin Community Development Corporation as a 5.3-mile Minimum Operable System extending from the Crestview MetroRail station (at N. Lamar/Airport) to Republic Square. For a surface alignment with no major civil works, estimated cost in 2016 was less than $400 million. Graphic: CACDC. 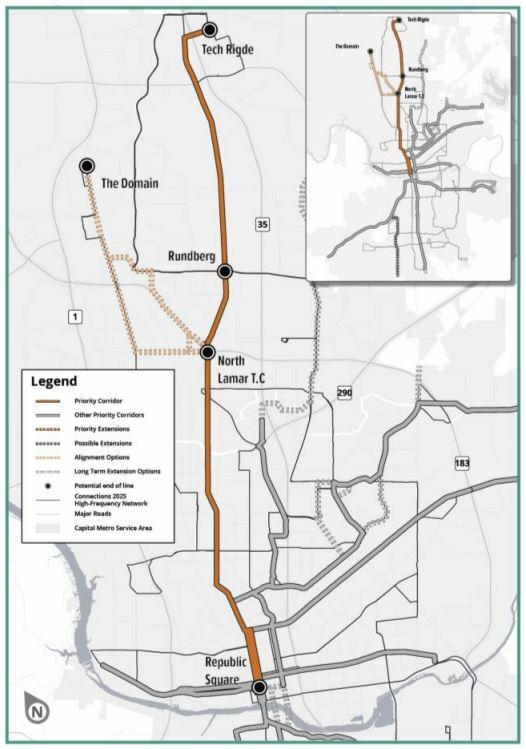 Light rail starter line using N. Lamar-Guadalupe corridor from Tech Ridge to downtown was key element of Project Connect comprehensive regional plan presented in February 2018. Despite a three-year data-driven process with community participation, it was subsquently overruled and aborted by Capital Metro officials – setting back planning process another two years. This post publishes the text of a handout distributed to a “Community Conversation” meeting sponsored by Project Connect in Council District 5 on 17 November 2018. 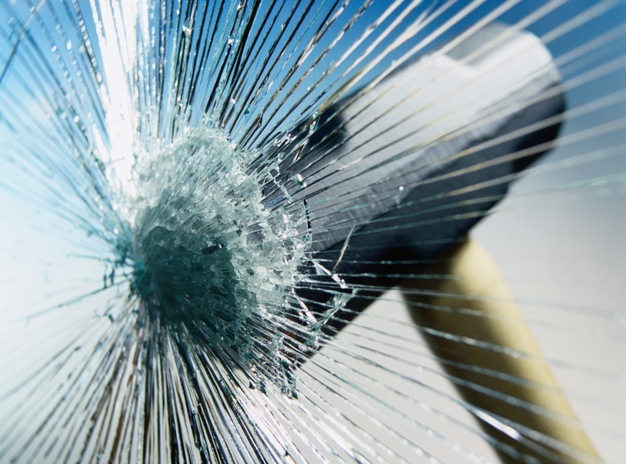 No more backsliding – Finalize a plan! 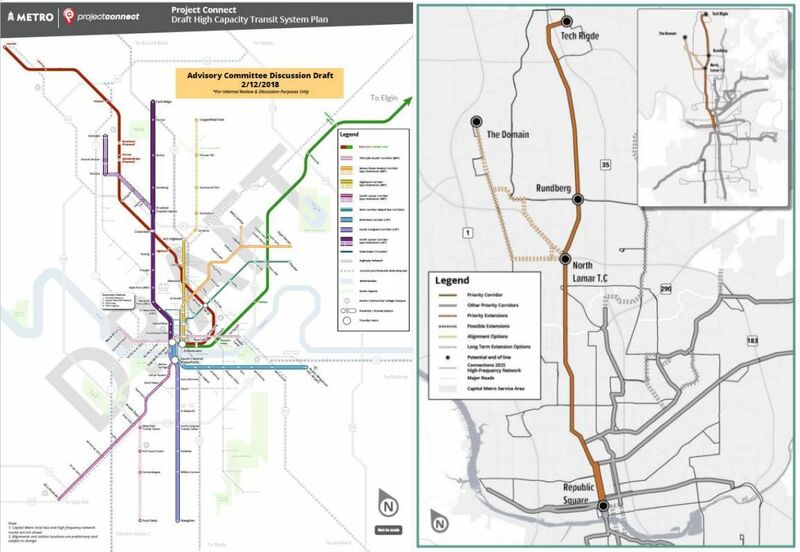 Last February (2018), Capital Metro’s Project Connect planning program, with public input, was finally nearing the end of a two-year process to devise a regional public transport proposal with urban rail and other “high-capacity” transit. On the table was a widely acclaimed, tentative plan for a viable, attractive public transport system, centered on a north-south light rail line from Tech Ridge to Slaughter Lane to link the city’s heaviest local travel corridors and provide a spine for ultimate rail extensions to other sections of the city. It was conceivable that details could be finalized to place a starter line on the November ballot for bond funding. But that wouldn’t happen. Just over a month later, CapMetro’s new incoming CEO, with the blessing of the board, discarded the plan and reset the whole process back to zero – thus adding another two years to the seemingly endless effort to forge a transit remedy to Austin’s worsening mobility crisis. While this destructive action was unprecedented and outrageous, for Austin it nevertheless fit a pattern of transit system plans aborted, botched, or abandoned by top leaders of CapMetro and the city’s political power elite, persisting over the past three decades. That’s a graveyard of at least six – count ‘em, 6 – urban rail planning efforts, totaling tens of millions of dollars, that have died because of official disinterest or misleadership, prolonging Austin’s mobility crisis pain and misery by 30 years. This delay needs to end – Austin needs to finalize and implement an urban rail system ASAP! In official studies from 1989 to 2018, light rail transit (LRT) has repeatedly been validated as Austin’s best choice for an attractive, cost-effective high-capacity transit system and the centerpiece of a regional system. In recent decades, at least 19 North American cities have opened brand-new, affordable light rail systems that have typically excelled in attracting passengers, provided essential capacity and cost-effectiveness, and stimulated economic development that has more than repaid the public investment. 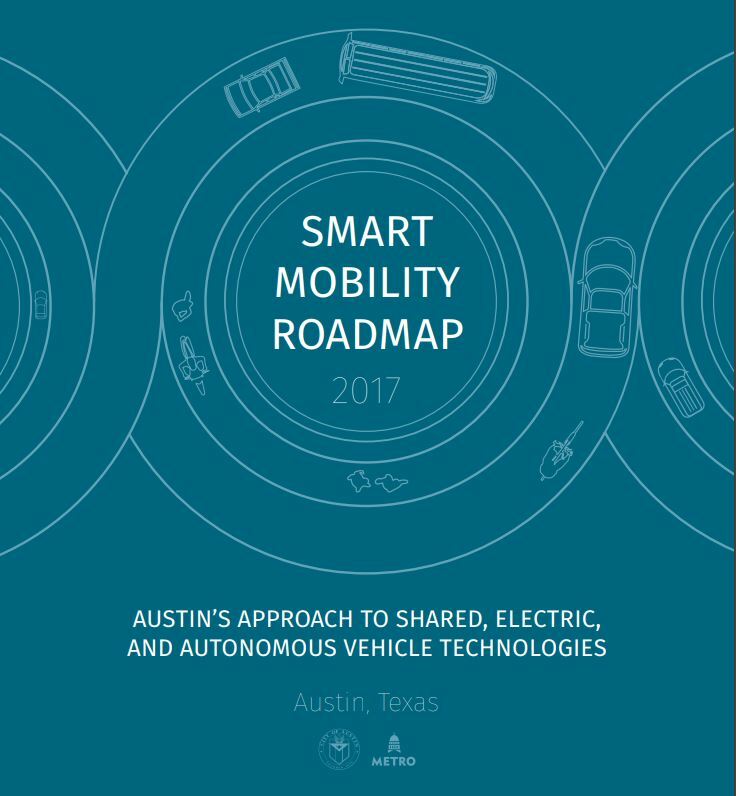 Yet Austin’s official planning has recently been re-focused on visions of a totally untested, speculative technology (a “Smart Mobility roadmap” and ”Autonomous Rapid Transit”) – i.e., substituting science fiction for realistic, workable planning. 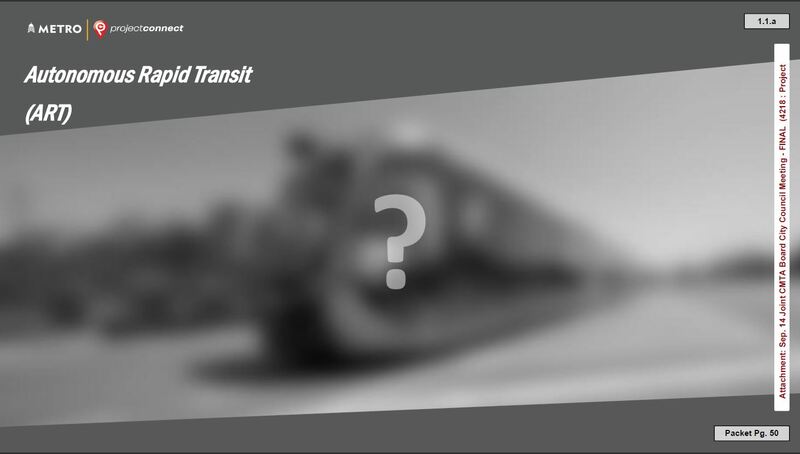 This seems basically a cover for dumping bona fide rapid transit and embracing a rebranded buses-only operation – bus rapid transit (BRT) – contradicting not only the recently aborted Project Connect process, but at least three official comparative studies over the past 28 years that have selected LRT as superior to BRT, particularly in key features such as capacity, ridership, cost, and economic development impacts. Disappeared from planning now are critical goals such as creating livable, transit-friendly, pedestrian-friendly streets and neighborhoods, and shaping public transit to guide growth and create economic investment. Austinites have long been suffering the pain of this region’s prolonged and worsening mobility crisis. We need real-world, proven, effective solutions now – not speculative visions of the possibilities of high-tech toys and autonomous vehicles. 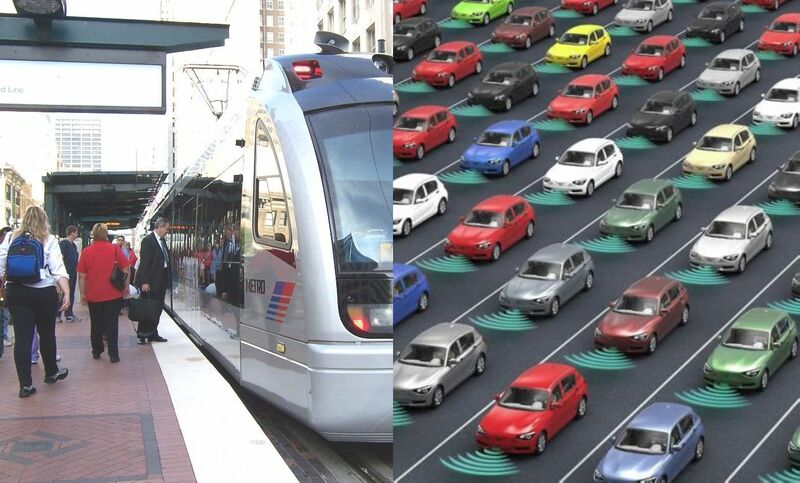 For sure, while prudently assessing new technology, we must not let our city be turned into a “Smart Mobility” Petri dish in lieu of installing a well-proven mass transit system such as LRT. Austin’s mobility planning needs to be re-focused on developing an extensive, attractive, affordable, accessible, cost-effective public transport system with urban rail that can enhance livability, reduce total mobility cost, help guide growth, and encourage economic development that can recoup the public investment. To make up for time lost through delays and top-level debacles, rail planning should be fast-tracked, particularly by reinstating the results and community-participated planning decisions already achieved. 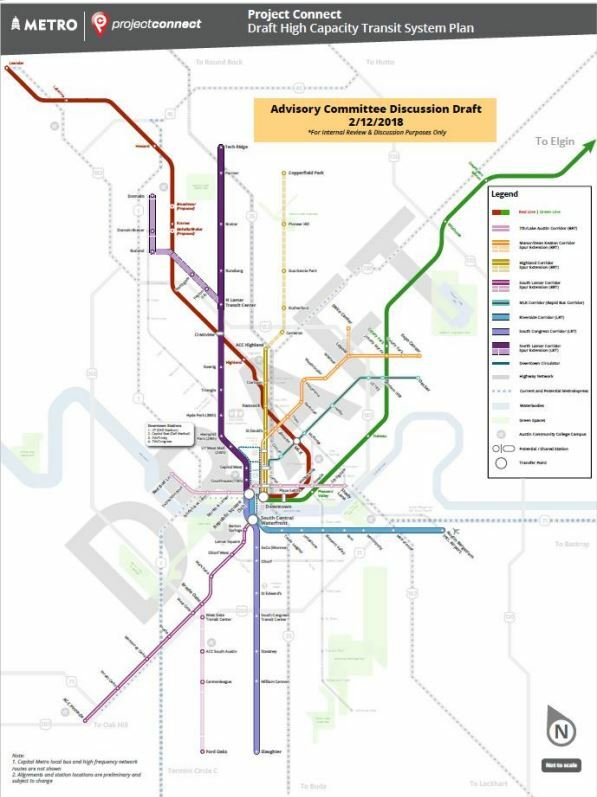 Project Connect’s latest draft system plan envisions multiple bus and rail routes, including the long, linear north-south light rail line (shown in purple north of the river and lavender to the south) stretching from Tech Ridge to Slaughter. Map: Project Connect. The stream of Twitter posts on Feb. 12th from Steven Knapp, attending a meeting of the Multimodal Community Advisory Committee (MCAC), came like a bombshell – forwarding snapshots of an apparent conceptual proposal, by Capital Metro’s Project Connect planning body, for a light rail line not merely in the Guadalupe-Lamar corridor, but stretching all the way from Tech Ridge in North Austin, southward down North Lamar, and Guadalupe, through the Core Area, and on down South Congress to the Southpark Meadows area in far South Austin. The route, originally proposed by local transportation activist Dave Dobbs in 2014, incorporates sections initially proposed by transportation planner and local activist Lyndon Henry in 1989, plus the portion of Capital Metro’s 2000 plan taking light rail transit (LRT) from the Crestview area (N. Lamar/Airport Blvd.) as far south as the Ben White freeway. Dave’s extensions north to Tech Ridge and south to Southpark Meadows have created a highly plausible north-south linear alignment, offering a central alternative to both I-35 and the MoPac (Loop 1) freeway, that has caught the public’s imagination and attention. Initial phase of LRT project would run from Tech Ridge to downtown at Republic Square, mainly following the North Lamar-Guadalupe travel/development corridor. Map: Project Connect. The North Lamar/Guadalupe Corridor has been one of the most critical transportation arteries in Austin for over a century. Phase 2 of Project Connect considered the 12 miles of the corridor stretching from Tech Ridge in North Austin to Republic Square in Downtown. The corridor connects many of Austin’s most important destinations, including Downtown, the State Capitol, University of Texas, and several major state agency offices between 38th and Crestview. 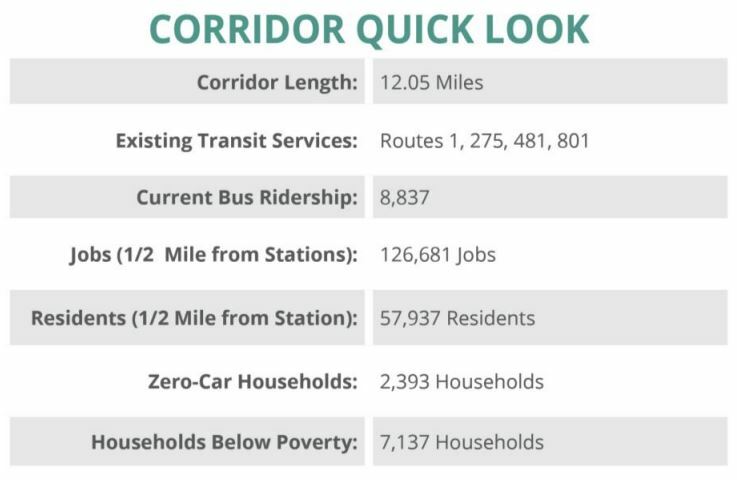 Table shows demographic and other data bolstering potential of LRT in Guadalupe-Lamar corridor. Graphic: Project Connect. 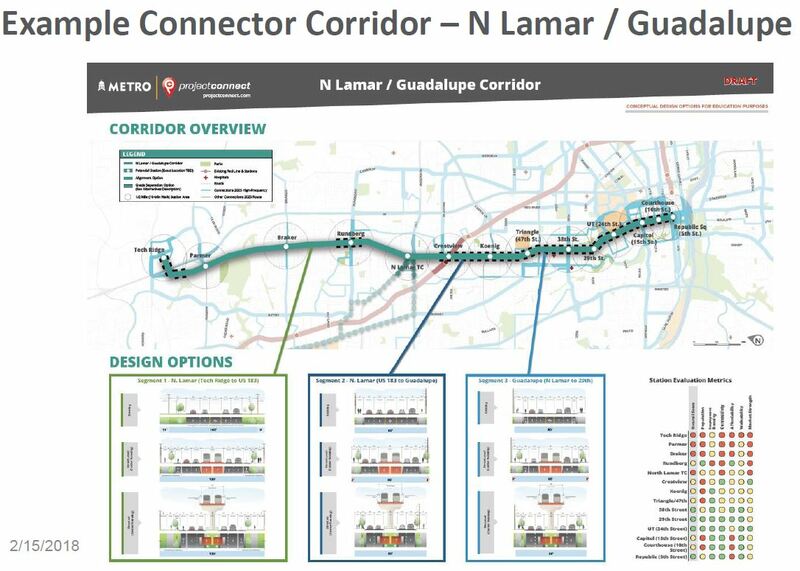 It should be noted that these improved prospects for Guadalupe-Lamar LRT come into ascendancy just as the alternative scheme for an I-35 “Super BRT” – buses running in future toll lanes in the Interstate highway – have been placed “on hold”. 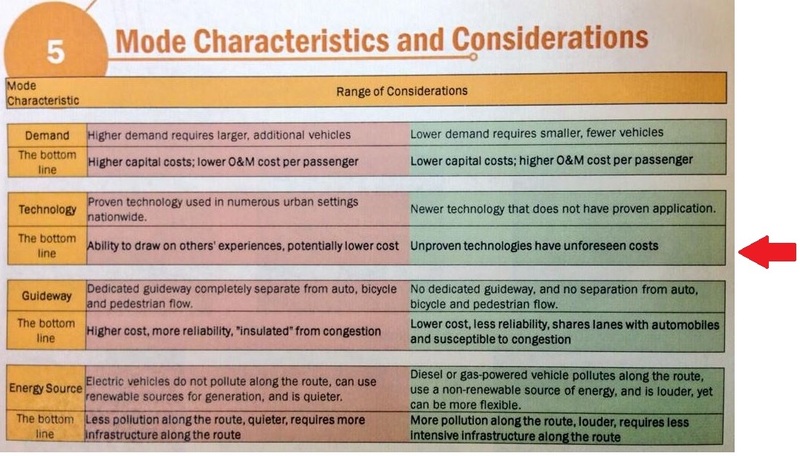 (See «Why TxDOT-Capital Metro “BRT” plan for I-35 is a massive boondoggle».) 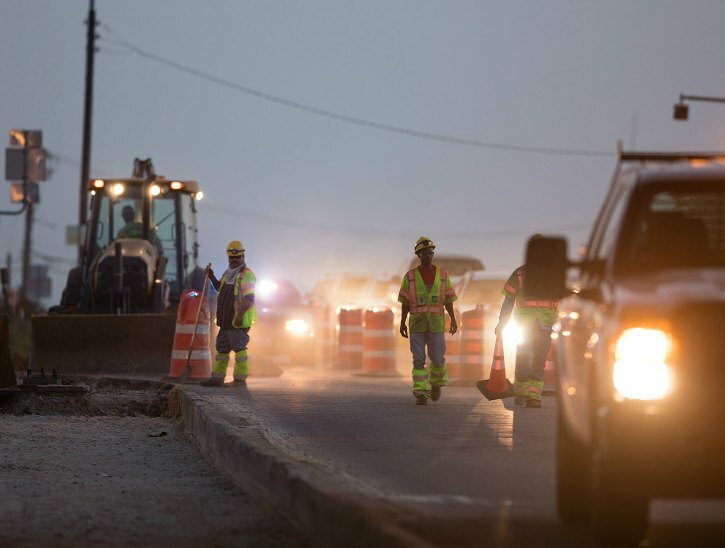 Reportedly, toll-based highways are being rejected by top Texas officials, particularly in light of prohibitions by Texas voters against using relatively new road revenue streams to finance them. But by far the biggest challenge will be how to pay for such an ambitious plan, especially in view of the Trump administration’s evidently skeptical and parsimonious attitude toward public transport funding. But there’s a saying worth keeping in mind: “Who wills the end, wills the means.” Austin could, like Houston, rely on local bonds to fund its own LRT starter line project – if it’s designed (and kept) sufficiently modest and affordable. And some level of federal funding is not necessarily totally out of the question.